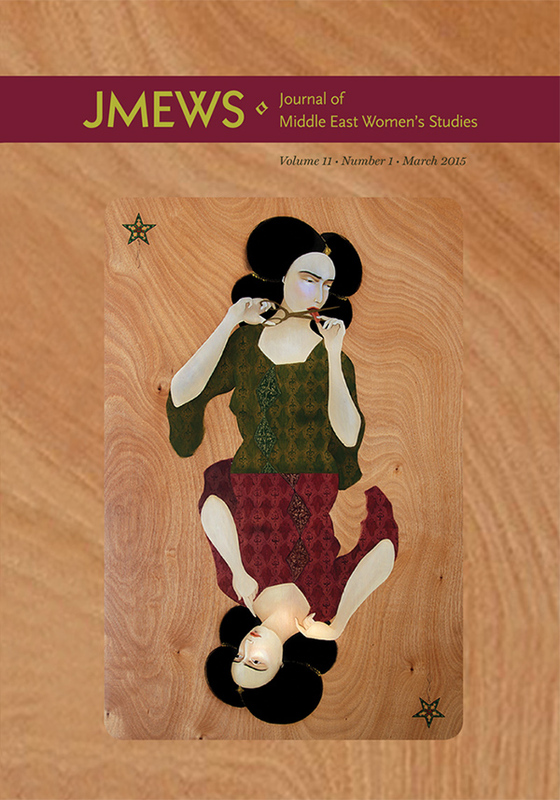 JMEWS is the official journal of the Association for Middle East Women's Studies. 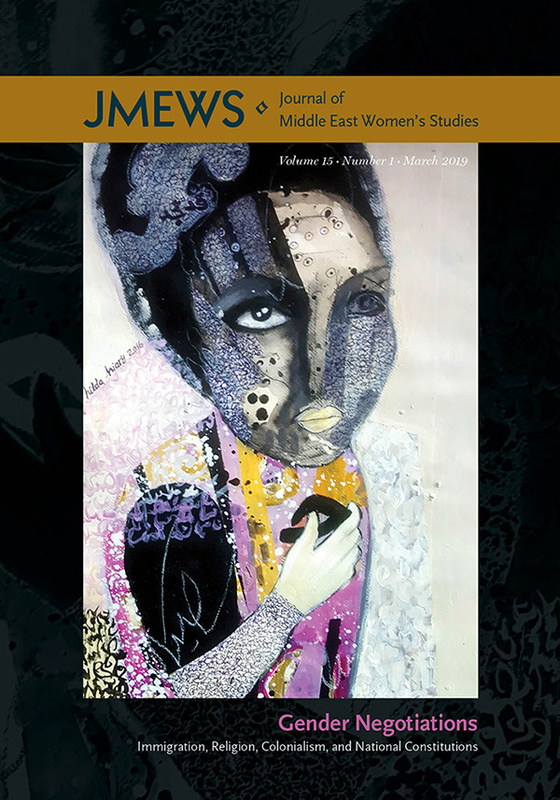 This interdisciplinary journal advances the fields of Middle East gender, sexuality, and women's studies through the contributions of academics, artists, and activists from around the globe working in the interpretive social sciences and humanities. 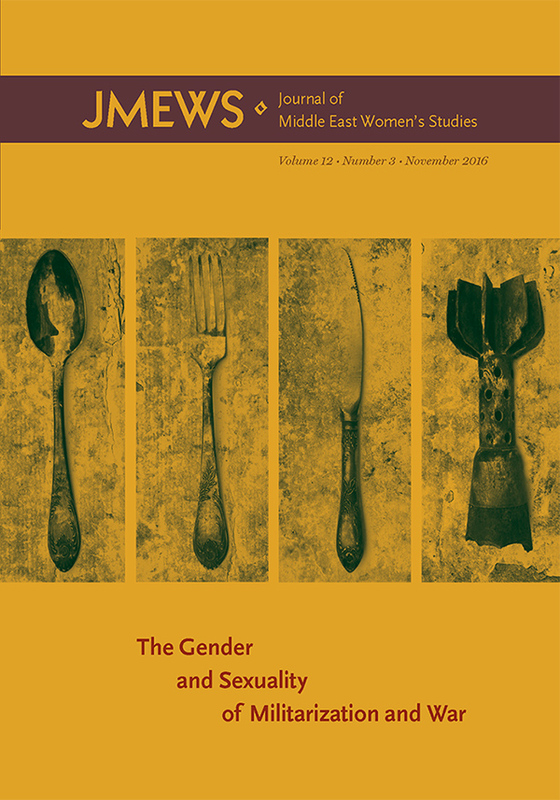 JMEWS publishes area-specific research informed by transnational feminist, sexuality, masculinity, and cultural theories and scholarship. 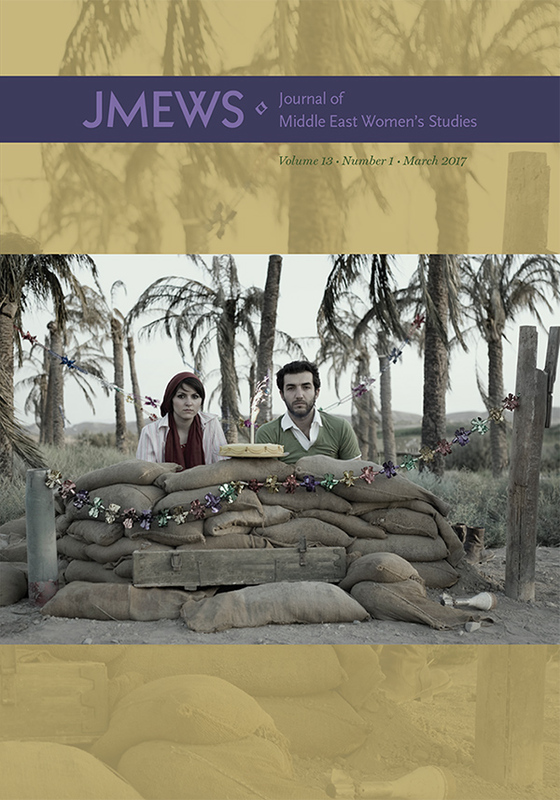 It is particularly interested in work that employs historical, ethnographic, literary, textual, and visual analyses and methodologies. 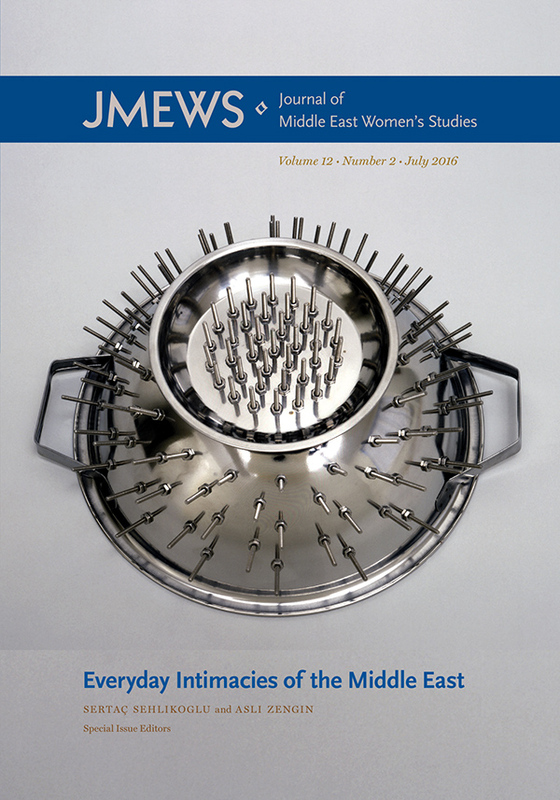 The journal also publishes book and film reviews, review essays, and dissertation abstracts that highlight theoretical innovation in gender and sexuality studies focused on the Middle East. JMEWS received the 2015 CELJ Award for Best Journal Design. 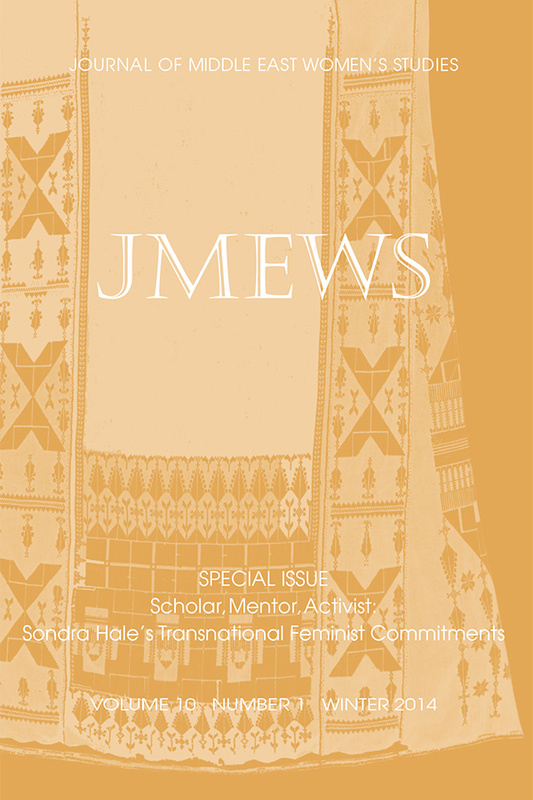 Watch a video about JMEWS with editor miriam cooke or check out our blog series about JMEWS. 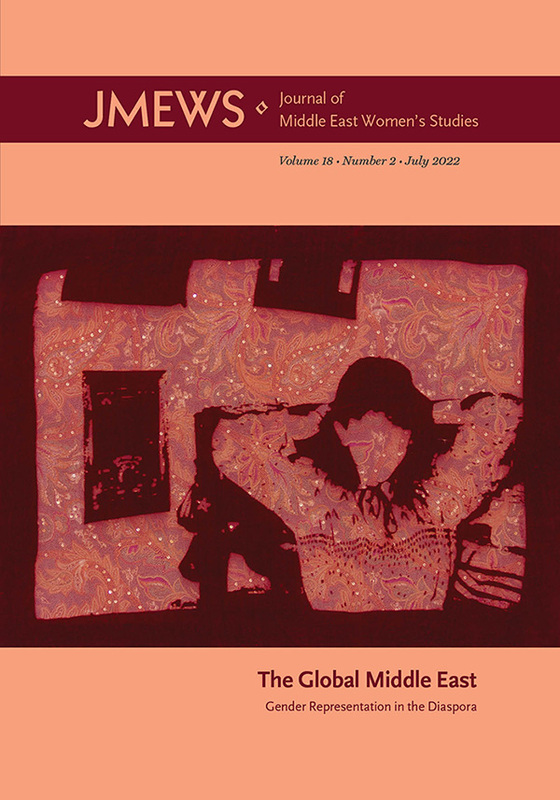 Subscriptions include membership in the Association for Middle East Women's Studies (AMEWS). 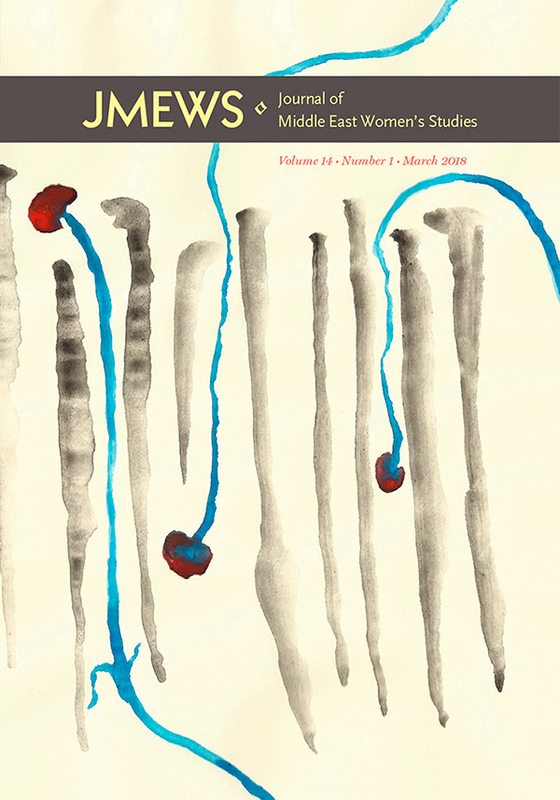 All manuscripts must be submitted electronically through our online submission system. 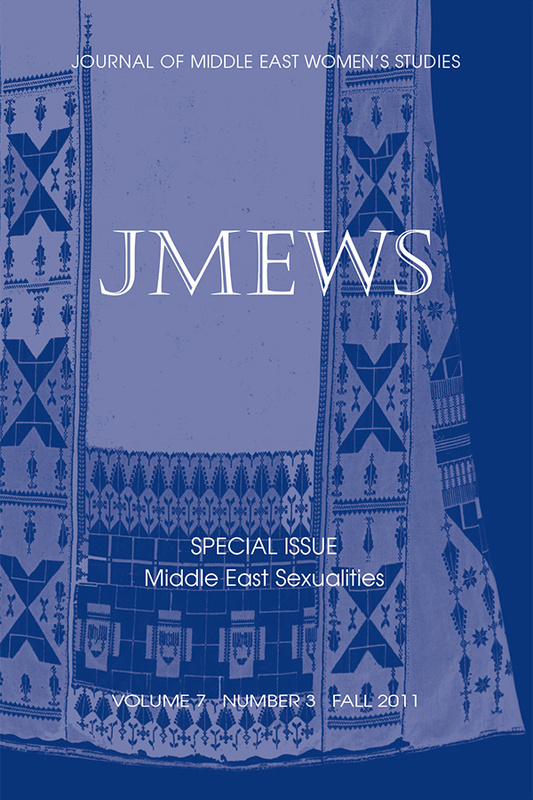 Editorial correspondence can be sent by e-mail to jmews@dukeupress.edu. Manuscripts submitted to the journal must be based on original research and the careful analysis of primary and secondary source materials. 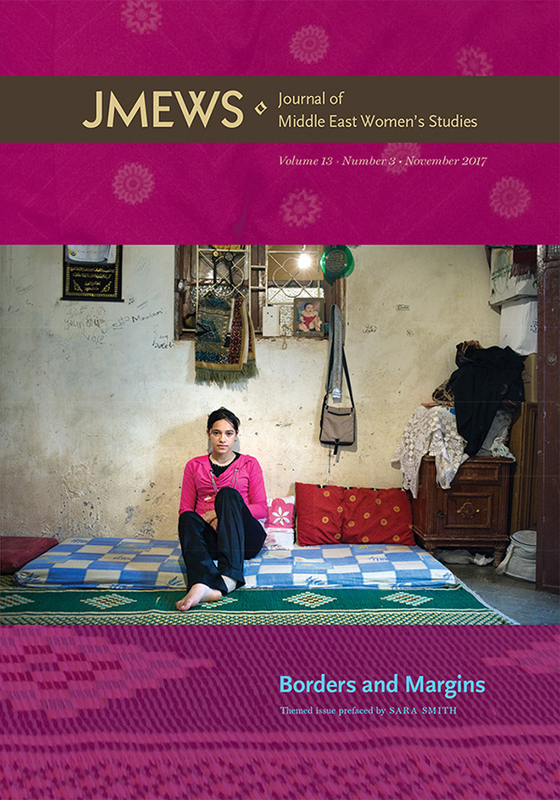 Submission of an article implies that it has not been previously published or simultaneously submitted elsewhere. Authors are responsible for obtaining permission to publish any material under copyright. 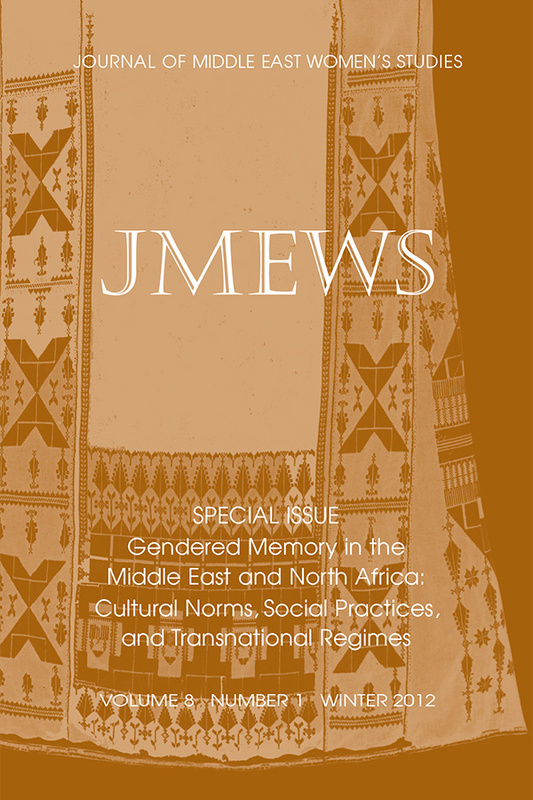 All use of or reference to published and unpublished material produced by others, whether quoted or paraphrased, must be attributed (with page numbers) using the author-date documentation system in the JMEWS style guide (see also The Chicago Manual of Style, 17th ed., chap. 15). All manuscripts must include full bibliographic information. JMEWS uses a double-blind peer review process. Manuscripts should not include the author's name or other information that identifies the author in footers, headers, or a title page. 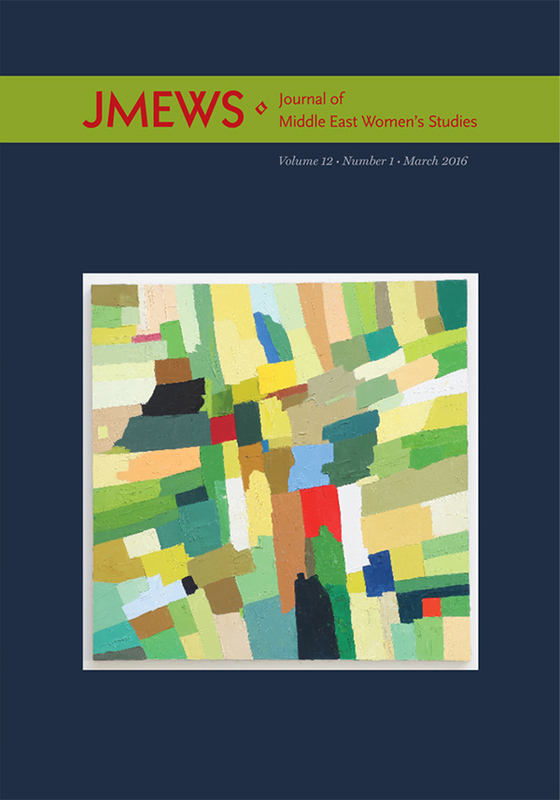 Please note if you are referencing your own previously published or unpublished work in the Comments to the Editors box in the submission system. All references to authors' previous work should be cited in the third person. Articles must be in English and run 7,500–10,000 words, including endnotes and references. Endnotes should be numbered with Arabic numerals (1, 2, 3, etc.). The editors reserve the right to copyedit manuscripts to conform to the journal's style guide. Spelling will be edited to conform to American usage. JMEWS does not use double dating. Use only Common Era (CE) dates unless quoting from an original source, in which case use the date as quoted (hijra, solar, etc. ), with the CE equivalent in brackets. Author names and titles must be spelled correctly and consistently. Titles in non-Roman alphabets (Arabic, Cyrillic, etc.) must be transliterated and translated. Capitalize only the first word, proper names, and place-names in the original title. Example: Dirasa fi adab al-Rafi‘i (A Study of the Literary Work of al-Rafi‘i). The place of publication should appear in its common English form (e.g., Cairo rather than al-Qahira). If the publisher's name is spelled in a non-Roman alphabet, it should be transliterated. 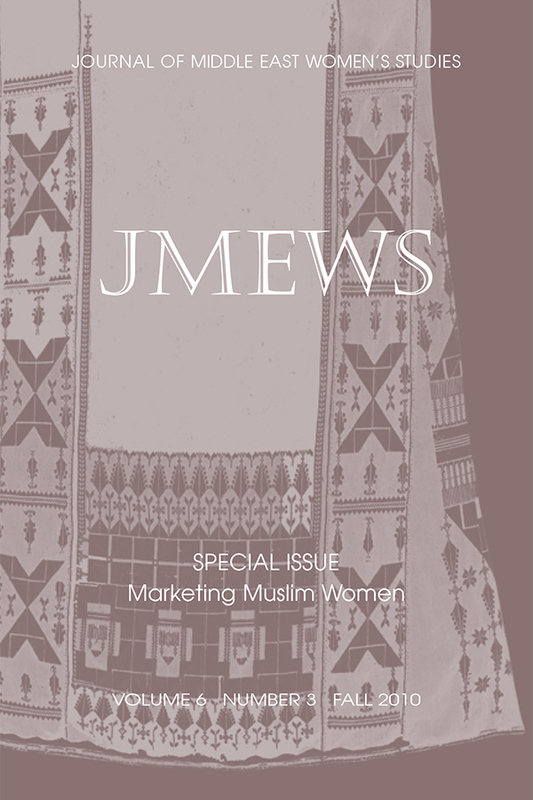 If the publisher uses the Roman alphabet in publicity, that form of the publisher's name may be used (e.g., Rabat: El Maarif al Jadida). Words with accepted English spellings, such as place-names or the personal names of prominent figures, should be spelled in accordance with English norms. Technical terms, personal names, place-names, books and article titles, and the names of political parties and organizations in languages using non-Roman alphabets must be fully transliterated. 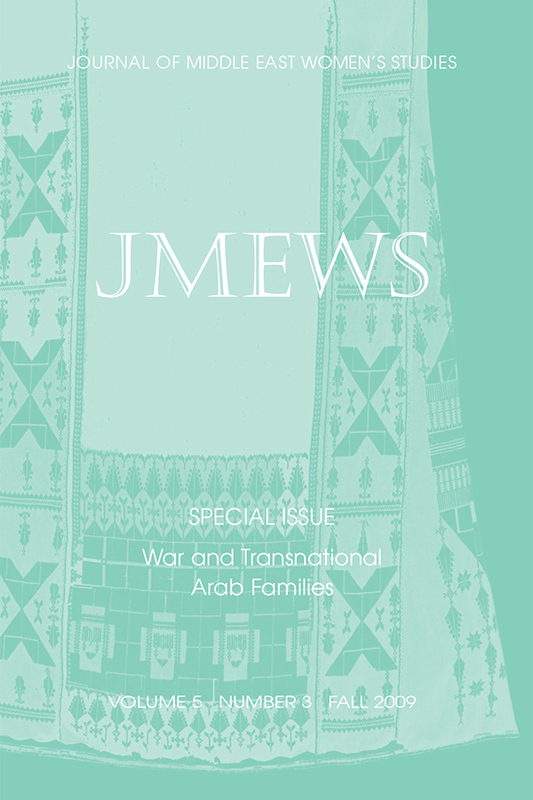 For transliteration of Arabic, Hebrew, and Persian characters, refer to the JMEWS romanization table. 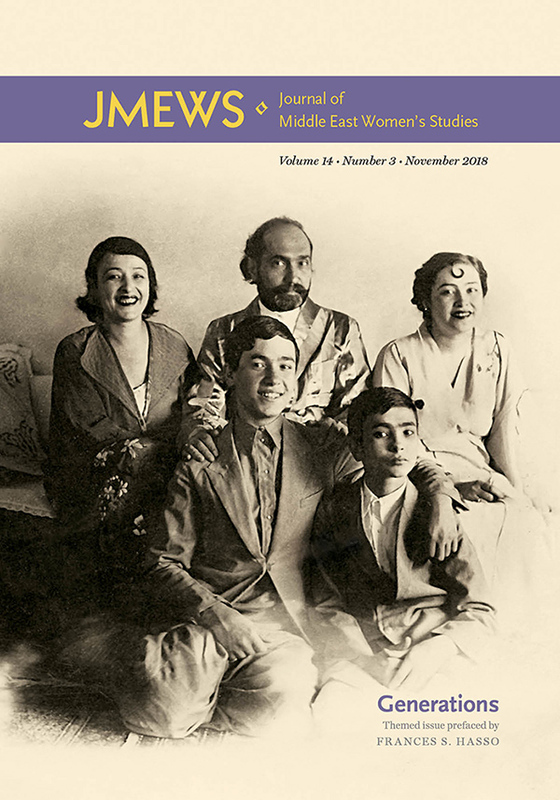 Note that transliterated Arabic and Persian text uses no diacritical marks except ayn (‘) and hamza (’). Refer to The Chicago Manual of Style, seventeenth edition, for information on Turkish (11.88–90) and for additional information on Arabic (11.96–101) and Hebrew (11.111–17). Ta marbuta is rendered -a, not -ah, except in Persian, where it should be rendered -ih; the adjectival -ya followed by ta marbuta is rendered -iyya (-iyyih in Persian); the letter l in al- is not assimilated to the following consonant. Authors are responsible for the consistency and accuracy of their transliterations. Indexed/abstracted in the following: Academic OneFile, Academic Search Alumni Edition, Academic Search Complete, Academic Search Elite, Academic Search Premier, Academic Search Ultimate, Arab World Research Source, ArticleFirst, Biography Index: Past and Present (H.W. 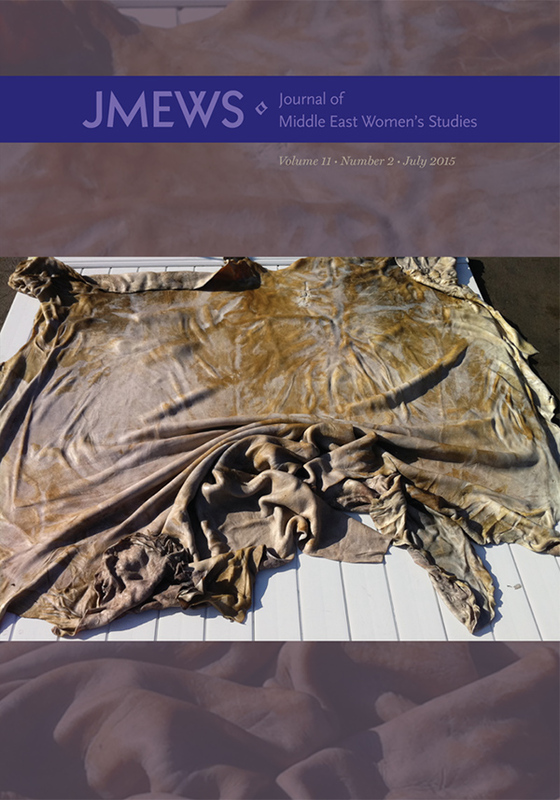 Wilson), Book Review Digest Plus (H.W. 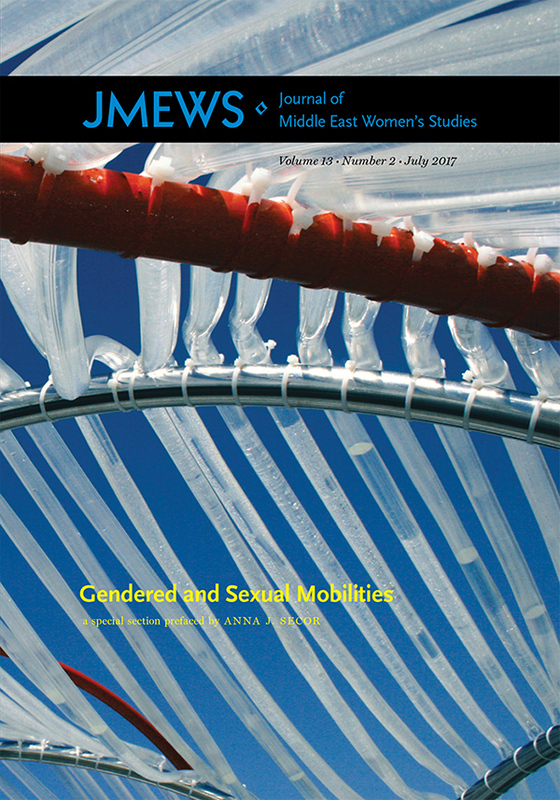 Wilson), Book Review Index Plus, Current Abstracts, Current Contents, Education Research Complete, Education Source, Educator's Reference Complete, Electronic Collections Online, Expanded Academic ASAP, Feminist Periodicals (Online), Gender Studies Database, GenderWatch, General OneFile, Global Issues in Context, Humanities Abstracts (H.W. Wilson), Humanities International Complete, Humanities International Index, Humanities Source Ultimate, Humanities Source Index, Islamicus Online - EBSCO, Index Islamicus Online - ProQuest, Index to Jewish Periodicals (Online), InfoTrac Custom, International Bibliography of the Social Sciences, Core, Jewish Studies Source, Middle Eastern & Central Asian Studies, MLA International Bibliography (Modern Language Association) - EBSCO, MLA International Bibliography (Modern Language Association) - Gale, MLA International Bibliography (Modern Language Association) - ProQuest, OmniFile Full Text Mega (H.W. Wilson), OmniFile Full Text Select (H.W. Wilson), Poetry & Short Story Reference Center, Political Science Complete, Professional ProQuest Central, ProQuest 5000, ProQuest Central, Research Library, Scopus, Social Science Premium Collection, Social Sciences Citation Index, SocINDEX with Full Text, SocINDEX, Sociological Abstracts (Online), Core - OCLC, Sociological Abstracts (Online), Core - ProQuest, Sociology Collection, Sociology Database, TOC Premier (Table of Contents), Ulrichsweb, Web of Science, Women's Interests Module, Women's Studies International, World History in Context, Worldwide Political Science Abstracts, Selective.